John Rosenberg teaches the aesthetics of motion picture editing. Recently, Focal Press published his in-depth guide to modern film editing, The Healthy Edit. He attended UC Berkeley and then UCLA where he graduated with honors from the film school. 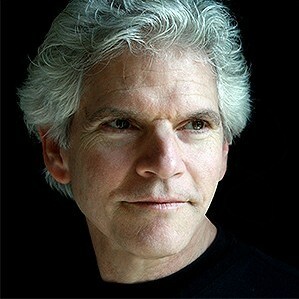 For over twenty-five years, he has worked in the motion picture industry as a film editor, as well as a producer and production executive for several independent studios including LIVE Entertainment (Artisan) where he was in charge of postproduction for Wes Craven’s Wishmaster, the Christopher Walken thriller Suicide Kings, and others. As a film editor, he has worked on over two dozen feature films for such companies as 20th Century Fox, Lorimar, Orion, New Line and Artisan. His feature projects include the Jack Nicholson film Man Trouble, Made in Heaven starring Tim Hutton and Debra Winger, Mac and Me, Below Utopia, Mannequin 2, the cult favorite Poison Ivy 3 starring Jaime Pressly, the classic Christmas film Prancer, starring Sam Elliott and Cloris Leachman, as well as Official Selections in the Sundance Film Festival. Along with his feature work, Rosenberg has written and edited a variety of reality-based and documentary projects. He was one of the main editors for National Geographic’s acclaimed documentary series, Expeditions to the Edge. Brush with Danger and the award winning documentary feature More Than the Rainbow, both edited by Rosenberg, are in theaters this year. Currently, he is editing the miniseries The Gift of Fear, based on the #1 bestselling book. Rosenberg's award winning novel Tincture of Time (Mischievous Muse Press) debuted at the L.A. Times Festival of Books at USC.